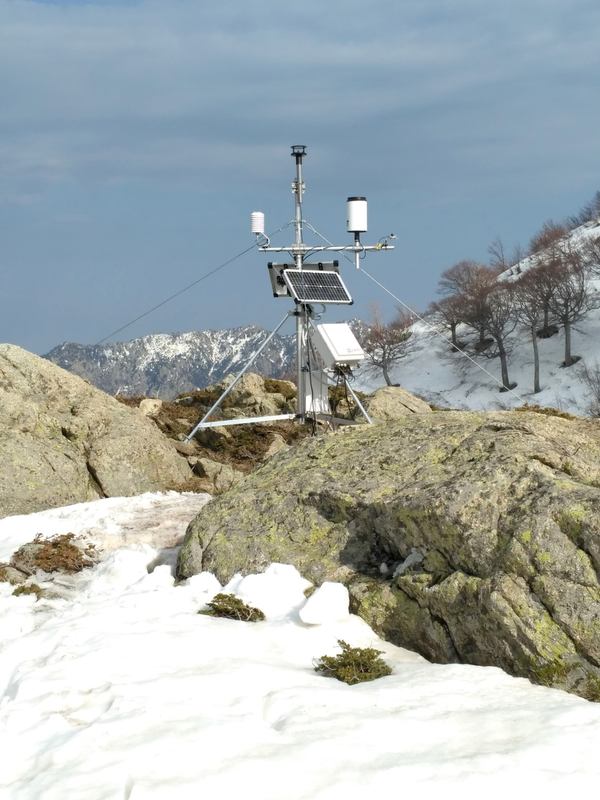 A team of physical geographers and hydrogeologists at FAU have submitted a successful application for follow-up funding to the German Research Foundation (DFG) for an innovative research project on climate change that is based on the Mediterranean island of Corsica. They have been awarded 1 million euros to cover personnel and material costs. In order to be able to analyse the sensitivity of past and future climate changes to carbon dioxide and other factors that influence the climate, ‘CorsicArchive’ combines investigations into the aspects of tree ecology, hydrology and climatology on Corsica – in terms of approach and scientific concept, this is something completely new. For their undertaking, the researchers are able to draw on the results of past projects, such as data gathered for the 800-year-old isotope and almost 1000-year-old annual tree ring chronologies. Climate change is one of the greatest challenges facing mankind. The Mediterranean itself is one of the regions that are showing the clearest signs of being affected by climate change; its ecosystems are being threatened by the more frequent heat spells and drought periods. It is thus no coincidence that, in order to assess and gain a better understanding of past and present climate scenarios, the researchers from the Institute of Geography and the GeoZentrum Nordbayern of FAU selected the island of Corsica to carry out their work in collaboration with their colleagues from Marburg and Corsica. Of particular interest to them are Pinus nigra, the Austrian or black pine, and Pinus pinaster, the maritime or cluster pine, two types of pine trees that grow at different altitudes on the island. The annual growth rings of old trees, such as those of the species of pine trees that are native to Corsica, represent a kind of ‘long-term memory’ that provides interesting information on the effect of climatic extremes on forest ecosystems. Hence, wider rings are evidence of wet years, while narrower rings document dry periods with low growth. The current investigations of precipitation, ground and soil water and the measurements of climatic factors at different altitudes being undertaken by the researchers from Erlangen are designed not only to provide data on past climate changes but also the changes to climate that are currently occurring and the possible consequences of these for the water supply in forests. The new approach being taken in CorsicArchive combines the already established methodology of measuring the distribution of isotopes of carbon, oxygen and hydrogen with the determination of various current climatic variables in trees and waters. 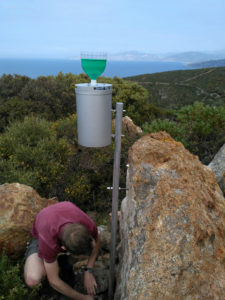 In various sites on Corsica, wood core samples from trees and samples of groundwater are taken, rainwater is collected, while climate stations have been installed to record information on air temperature and humidity, wind speed, solar radiation and any irregularities in the lower atmosphere. In the laboratory in Erlangen, the harvested materials are then subjected to geochemical analyses and evaluated. On the basis of the determined isotope signatures – element fingerprints as it were – the researchers can then draw conclusions as to what changes have happened and are happening to the climate. This interdisciplinary co-operation between the various research fields of biogeography, hydrogeology and climatology, and the combination of the past and present, are contributing to the development of innovative approaches in climate research. When it comes to ongoing climate change, it is important to understand both the past and present processes in order to make an accurate assessment of what is likely to happen in future. An important undertaking. Thanks to the information it is gathering, CorsicArchive can also provide important recommendations for the forestry industry and tourism of the island. It is possible, for example, to work out how changes to the climate may impinge on the productivity of forest ecosystems. If the long-term trend is towards global warming and more frequent drought, for example, it would be advisable to move the pine growing areas away from the coast and towards higher regions of the island. Then there are the ski resorts of Val d’Ese and Ghisoni-Capanelle – not something one would necessarily expect to find on Corsica – and the associated tourism. Global warming would have consequences that are economically significant here and would impact on future tourism on the island.